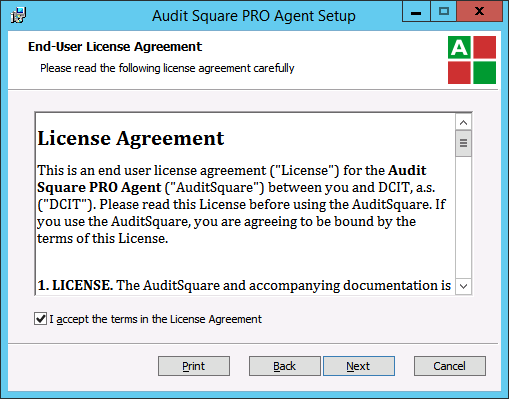 What is “Audit Square Agent”? 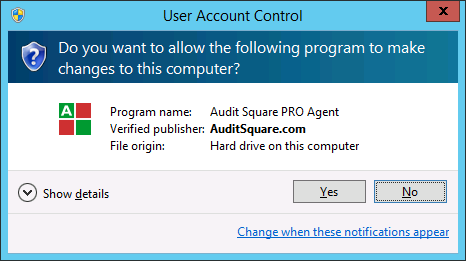 It is intended to be installed on servers and desktops you want to periodically assess. 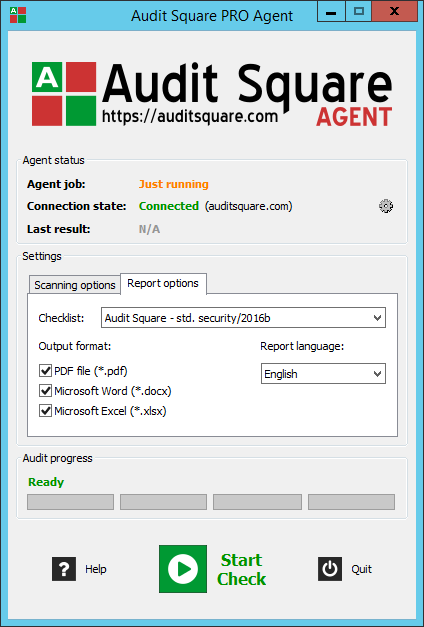 The Agent periodically collects data from the computer where it runs and sends these data to the server (auditsquare.com or on-premise) where they are processed and turned into audit report(s). The schedule of all your agents can be centrally managed from auditsquare.com portal (left menu - Assets). 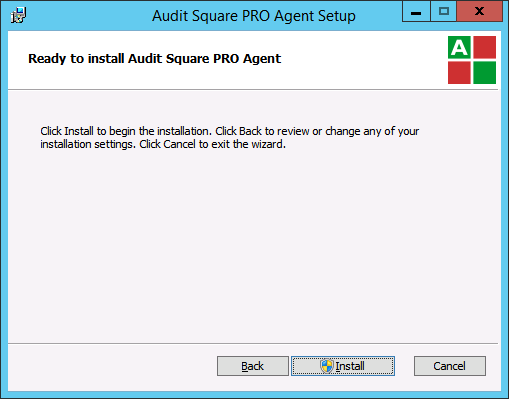 The Agent is distributed as MSI installer package. 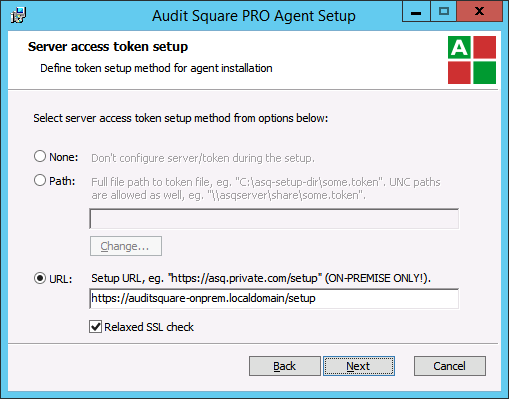 The setup token (a small file AuditSquare-Agent.token) mentioned above is intended for simplifying the installation process and/or making it fully automated/unattended. 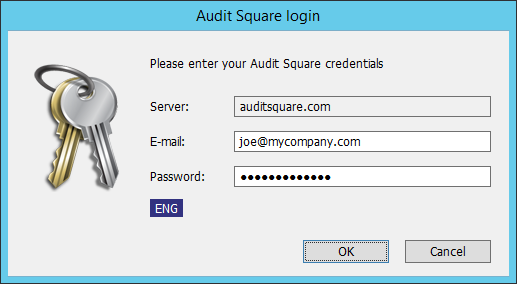 When installed it does not permanently run as a system service, it creates couple of scheduled tasks that handle periodical data collection and communication with the server (auditsquare.com or on-premise). 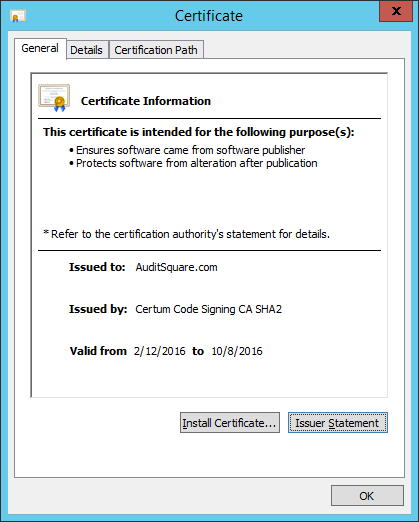 Audit Square Agent MSI package is digitally signed - see Properties of MSI file. 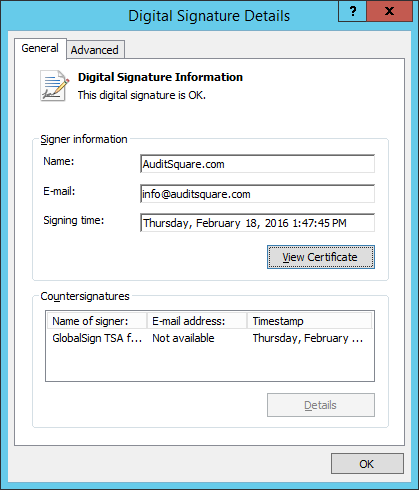 Notice for MS Windows XP / Vista / 2008 users: The MSI signatures use SHA-2 which is not supported by older MS Windows, therefore on these platforms signature might be reported as invalid! 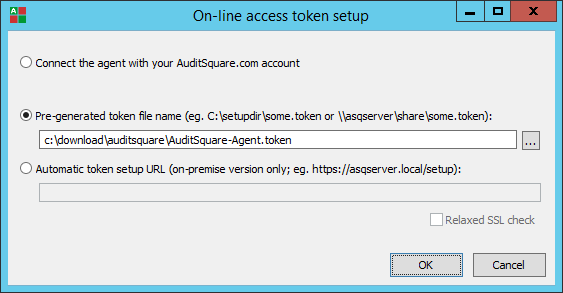 This case requires setup token (see ZIP download option mentioned above). 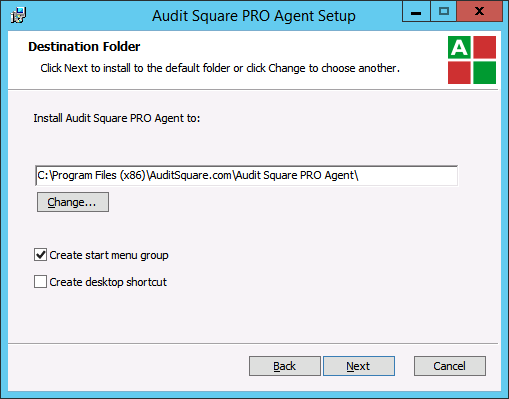 User either icon on your desktom or find Audit Square Agent in Start Menu. 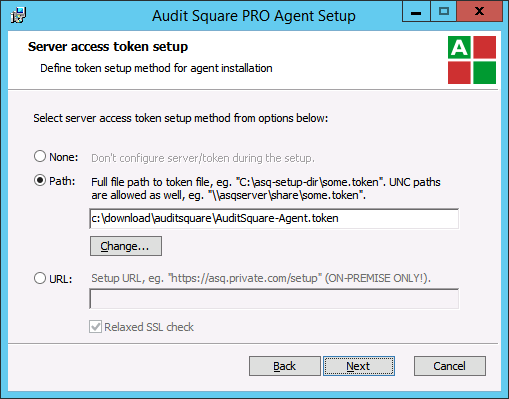 Starting Agent GUI requires Administrator privileges. 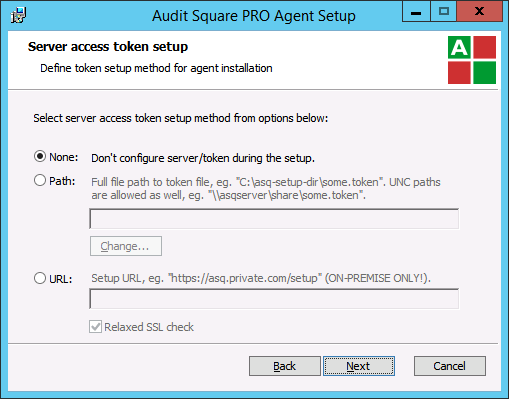 If you have chosen do not setup (step: MSI-4a) during MSI installation, you need to finish Agent setup when started for the first time - you have 3 options (see INIT-a, INIT-b, INIT-c below). 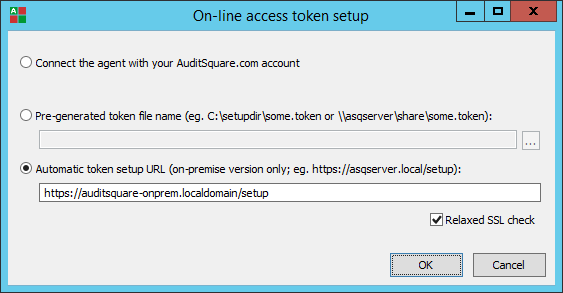 This option is applicable only for on-premise version. 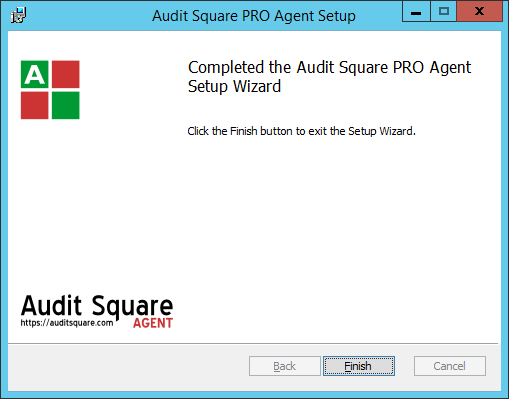 After successful Agent installation you should the new computer with installed agent on Audit Square portal - left menu Assets. 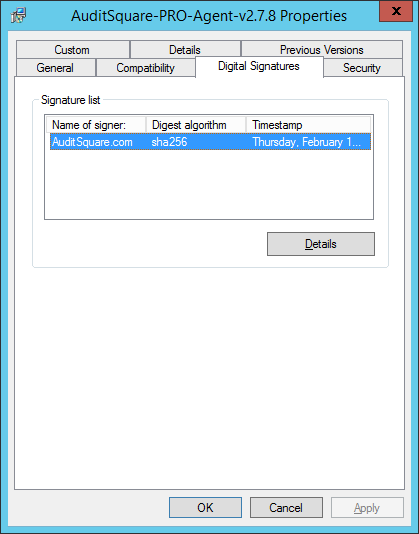 Here you can also Agent schedules and other related settings. 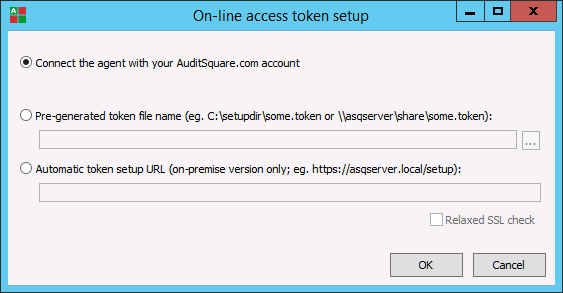 Q: Is there a way how to pass setup token path as MSI parameter? Q: The MSI instalation crashed/failed - what should I do?